New winemakers have been announced for both Osoyoos Larose Winery and See Ya Later Ranch. Mathieu Mercier, the general manager and winemaker at Osoyoos Larose since 2013, has just announced that he and vineyard manager Julie Rapel are returning to Bordeaux at the end of March 2016. Groupe Taillan, which owns Osoyoos Larose, has asked him to manage several of the company’s estates in France and handle other projects. Benoit Giroussens, a vineyard manager from Bordeaux, will be replacing Julie (who also returns to Groupe Taillan). During their three vintages at Osoyoos Larose, Mathieu and Julie initiated trials in barrel-fermenting red varietals, with a view to taking the estate’s wines to the next level of quality. They also initiated plans to build a tasting room at the vineyard. Currently, Osoyoos Larose still makes its wines in a separate area at the Jackson-Triggs winery near Oliver. There has never been an Osoyoos Larose tasting room there. Construction of the vineyard tasting room is expected to begin this summer. Jean-Marc Enixon is a native of Bordeaux where, as he says in a biographical note, he was “born in the heart of the wine world,” spending time in the vineyards with his father. Passionate about winemaking and its alchemy, he has a Master’s in Viticulture and Enology from Bordeaux University. He has produced wines in several regions of France as well as in California. In 2004, he took on the responsibility of managing the family estate, Château Puy Guilhem, in the Fronsac appellation. At SYL, Dave Saysomsack succeeds Dave Carson, now the senior winemaker at Jackson Triggs Okanagan. 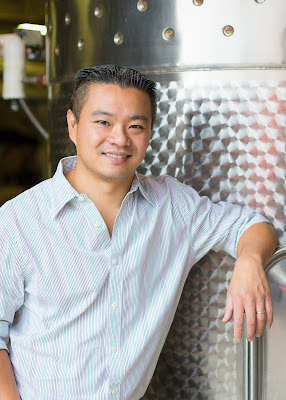 Born in Laos and raised in the farming community of Abbotsford, B.C., Dave was a passionate hobby winemaker for more than a decade before he decided to turn professional. He went back to school to complete an honors degree at Brock University in Oenology and Viticulture. He has worked in Ontario, California, Washington State, Oregon, New Zealand and now the Okanagan. In British Columbia, his previous winemaking stints have been with Pacific Breeze and Burrowing Owl Estate Winery. At See Ya Later, he takes over one of the most historic wineries in the Okanagan Falls region. It opened in 1986 as LeComte Estate Winery. It was renamed Hawthorne Mountain Vineyards after being acquired by Sumac Ridge founder Harry McWatters. The more probable explanation is that the major was a prolific letter writer in the habit of signing See Ya Later on his letters. What is not in doubt is that the major was a great dog fancier and buried a dozen of his pets on the property with headstones. These are now gather in one spot in from of the wine shop. The names of several of the major’s dogs are now on the labels of the wines here, including Ping, Nellie, Belle, Rover, Hunny and Jimmie My Pal. Gavin and Shana Miller, the operators of Upper Bench Winery & Creamery, have had the tradition of making a barrel or so of red wine for themselves and to share with family and friends. They called it called, simply, Yard Wine. This year, for the first time, Upper Bench has released a vintage of Yard Wine to their consumers. Even the label looks like it was sketched on the kitchen table with an HB pencil on ordinary buff stock. It could be the label of an amateur winemaker. Gavin is hardly an amateur, but the market will tell him if it is willing to pay $30 for a bottle of wine with such a homely label. The label did not bother me but it did upset my tasting companion – until the wine was tasted. This is a pretty good wine. Appreciate the label for the whimsy it is. The winery has undergone a profound transformation since 2011 when Gavin, backed by a silent partner, businessman Wayne Nystrom, acquired what was then known as Stonehill Estate Winery in a bankruptcy court auction of the winery and its three hectare (seven acre) vineyard. Born in Britain in 1965, Gavin was a sales manager in London when he came to Penticton on vacation in 1995 and met Shana. They lived in London for a year before returning to the Okanagan in 1997. Drawn to wine after a year as a sign maker, Gavin took Okanagan College courses. That launched him on a career that began in the vineyard at Lake Breeze, the cellars at Hawthorne Mountain Vineyards, the tasting room at Sumac Ridge and then winemaking, first at Poplar Grove and then at Painted Rock, where he made award-winning wines before leaving after the 2010 vintage. Here are notes on the winery’s current releases. I am including the Upper Bench cheese pairing recommendations for each wine, as made by Shana. Upper Bench Riesling 2014 ($22 for 94 cases). This wine begins with aromas of citrus and pear with a hint of petrol. On the palate, there are flavours of lime and apple. The wine has good weight. The bright acidity is nicely balanced with a touch of residual sugar but the finish is dry. Cheese: Upper Bench French Gold. 89. Upper Bench Pinot Blanc 2014 ($19 for 128 cases). This is a straight-forward treatment of one of the Okanagan’s most underrated varietals. It has aromas and flavours of apples with a hint of guava on the palate. The acidity is moderate but the wine still is refreshing: Cheese: Gold, Italian Gold, French Gold and Brie. 89. Upper Bench Chardonnay 2014 ($25 for 235 cases). The wine begins with lovely tropical aromas of citrus and pineapple with a hint of toastiness from the oak. On the palate, there are flavours of grapefruit, apple and guava. This was fermented with wild yeast and that perhaps accounts for the sense of terroir in this complex wine. Given the bright acidity, this wine will age well for a few years. Cheese: Gold. 91. Upper Bench Merlot 2013 Four Shadows Vineyard ($30 for 320 cases). This is a bold and concentrated wine that should be decanted to let the aromas and flavours develop in the glass. It begins with aromas of black cherry, vanilla and chocolate, going on to flavours of plum, coffee and chocolate. The wine has been aged 18 months in second and third use French oak barrels. Cheese: King Cole. 91. Upper Bench Yard Wine 2013 ($30 for 292 cases). The wine begins with aromas of cherry, cassis and plum. On the palate, there is a medley of red berry flavours, including blueberry and black currant leading to spice, chocolate and dark coffee on the finish. The long ripe tannins give this an ageable structure but, with decanting, it is drinking well now. Cheese: King Cole. 90. The most recent trio of releases from Township 7 Vineyards & Winery included a surprise: Seven Stars 2012. Earlier in her winemaking career in Ontario, she had accumulated a fair amount of experience with sparkling wine. Mary’s winemaking résumé is impressive. Her interest in wine began when she worked as a sommelier at Monk McQueen’s Fresh Seafood & Oyster Bar in Vancouver. That led her back to Ontario, her native province, to earn a winemaking and viticulture degree at Brock University. After graduation, she started as a cellar hand at Stratus Vineyards and moved on to become assistant cellar master at Cave Spring Cellars. Then, in 2010, she became winemaker at Trius Winery at Hillebrand as well as Thirty Bench Winery. Both are premium wine producers operated by Andrew Peller Ltd. There is a history behind the Seven Stars name that goes back to Gwen and Corey Coleman, the winery’s original owners. Seven was something of a lucky number for them, beginning with the choice of Township 7 as the winery name. That was the early name or Langley Township. The Colemans opened the Langley winery – the first of the winery’s two properties – on the seventh day of the seventh month in 2001. Naturally, the sparkling wine, which began with the opportunistic purchase of Pinot Noir and Chardonnay in 1999, was called Seven Stars. The 2012 Seven Stars is a Blanc de Blancs, made with Chardonnay from both the winery’s Langley vineyard and its Naramata vineyard. Only 88 cases have been made and, to buy it, you need to join the winery’s wine club. By the way, the club is called clubSEVEN. Township 7 Seven Stars 2012 ($26.97 for 88 cases). This wine was 18 months on the lees to develop a slight biscuity hint on the nose. On the palate, the wine is refreshing with apple flavours. The active bubbles give the wine a creamy texture while the dry finish gives it a crisp ending. 90. Township 7 Reserve Chardonnay 2014 ($24.97 for 278 cases). This is also a wine club exclusive. Grapes from two Black Sage Road vineyards went into this delicious barrel-fermented wine. The wine begins with aromas of citrus fruits, apple and vanilla. On the palate, there are flavours of citrus, apricot and vanilla. The wine has good weight and a lingering finish. 90. Township 7 NBO 2013 ($27.97 for 278 cases; available just at the wineries). NBO is short for North Bench Oliver, the location of Blue Terrace Vineyard, one of Township 7’s long term suppliers. This wine is a blend of 60% Cabernet Sauvignon and 40% Merlot. It was aged 24 months in American oak. The bouquet of cherry, black currant and mocha is echoed in the flavours of this richly textured wine. The oak gives a hint of vanilla to the lingering finish. The wine benefits from decanting. 92. On March 1, Culmina Family Estate Winery will release its first single varietal red – a $31 Merlot from the fine 2013. For those attending the Vancouver International Wine Festival, Culmina will have a table on the floor and this will be one of the wines. For those at the trade tastings, Culmina proprietor Donald Triggs will also have another wine to be released on April 1: a $34 Cabernet Sauvignon 2013. Both wines are sold winery direct and the licensees; the Merlot is also in the VQA system. The other wines at the Culmina table will be Decora (a Riesling), Dilemma (a Chardonnay) and Hypothesis, the winery’s flagship Bordeaux blend. A portfolio extension by a winery as capable as Culmina should be exciting to all fans of and collectors of Okanagan wines. The Triggs family has a meticulously cultivated vineyard on one of the best sites on the Golden Mile. The winery is state of the art. The winemaker is French-trained Pascal Madevon, who made almost a dozen vintages at Osoyoos Larose before joining the Triggs family at Culmina. Here is a bit of background from John Schreiner’s Okanagan Wine Tour Guide. They tapped the expertise of Alain Sutre, the same Bordeaux consultant they had worked with when Vincor (with a French partner) began the Osoyoos Larose vineyard and winery in 1999. Alain assured them they could produce wines of even greater quality because the Okanagan terroir is much better understood. With that assurance, the Triggs family has set out to raise the bar again, including luring winemaker Pascal Madevon to Culmina from Osoyoos Larose. The three vineyard benches, each with differing soils and elevations, provide winemaking options. Merlot, Cabernet Franc and Cabernet Sauvignon comprise the largest blocks, followed by Chardonnay, Riesling, Syrah, Malbec and Petit Verdot. The surprise is the Okanagan’s first (one hectare) of Grüner Veltiner, the Austrian white, planted on the highest elevation vineyard in the south Okanagan. There are other surprises here. The gravity-flow winery’s floor is a checkerboard of black and white Italian tiles under French chandeliers. The antique tasting room table came from the barn of Doukhabor leader Peter Verigin. The winery keeps visitor groups small but offers in-depth personal vineyard tours. There is no better place to view the Okanagan Valley than from Culmina vineyards, with a glass of wine in hand. Here is my note on the new wine. Mission Hill’s Anthony von Mandl launched the Martin’s Lane label with a 2009 Riesling. The intention of the label was to honour his father, Martin, who died in 1994. Well, he has certainly done his father proud. The label has grown into a boutique winery (built in 2014) that specializes in Pinot Noir. The winery has just released 986 cases of its 2013 Martin’s Lane Pinot Noir, an ultra-premium wine priced at $65 a bottle. This is the culmination of a commitment to Pinot Noir that began in earnest not long after Mission Hill acquired Paradise Ranch at the north end of Naramata Road in 2001. Now called The Ranch, its 80 acres have been almost totally replanted. Pinot Noir accounted for 30 acres. Since about 2005, Mission Hill also acquired additional land in East Kelowna, planting at least 30 more acres of Pinot Noir. The second vintage of Martin’s Lane Pinot Noir (485 cases) was made in 2011. This was the wine that sealed Mission Hill’s commitment to Pinot Noir. In the Decanter World Wine Awards in 2013, it was named the “World’s Best Pinot Noir” in the under £15 category. Most of the subsequent publicity omitted the qualification. The wine, which was very good indeed, is spoken of as the world’s best, period. Anthony had been thinking about building a boutique Pinot Noir winery prior to winning that award. Now, with the trophy in hand, he went ahead with the winery – just behind CedarCreek Estate Winery, which Anthony had acquired in 2014. I am not aware that there is yet a public tasting room at Martin’s Lane. I am assuming there are plans for one since the latest release is described as a “winery direct” wine. The 2013 Martin’s Lane Pinot Noir is made from estate grown grapes, both from The Ranch, from West Kelowna and from East Kelowna. It is a blend of four Dijon clones (115, 943, 667 and 828). The wine was fermented in small French oak fermenters and aged nine months in a combination of new and old French barrels. The best barrels were selected for this wine, with enough volume that the wine should be readily available. The specification sheet does not identify the winemaker. Nikki Callaway, who made the 2011, had joined Quails’ Gate Estate Winery just before the 2013 vintage. Darryl Brooker, now Mission Hill’s chief winemaker, was still at CedarCreek; he made the 2014 Martin’s Lane wines. The process of elimination gives credit to John Simes, the veteran winemaker at Mission Hill until he retired from that role last year. Over his 23 vintages, John’s reputation was made with his Chardonnays and his Bordeaux blends. Mission Hill’s Perpetua Chardonnay and the winery’s Oculus, its big red, are among the top Canadian wines year in and year out. But I have to tell you: Martin’s Lane Pinot Noir is not too shabby either. Martin’s Lane Pinot Noir 2013 ($65 for 986 cases). The wine’s appeal begins with its deep, vibrant hue in the glass. It has aromas and flavours of raspberry and cherry. It has good weight and concentration. Decanting brings out a silky and fleshy texture. There are notes of spice on the lingering finish. 92-93. Over the many years in which I have travelled the South Okanagan, I have stopped numerous times to photograph the Haynes Barn at the south end of Black Sage Road. Every year, it sags a bit more. The photo on this column was taken last summer. One of these years, I expect to find just a pile of old wood. I don’t understand why no effort has been made to preserve the barn. At least, it might lives on the label of a red wine from Ganton & Larsen Prospect Winery. This is one of the wineries in the Artisan Wine Co. stable of Anthony von Mandl of Mission Hill Family Estate Winery fame. All of the wines in the Prospect range, which are made at Mission Hill, have labels celebrating the Okanagan’s rich history. Few histories are richer than Judge John Carmichael Haynes, the rancher (among other occupations) who once ran cattle on the range here. The barn, one assumes, is a remainder of his finger prints, along with Haynes Point in Osoyoos. And Hester Creek on the Golden Mile, named for his daughter. The Osoyoos & District Museum and Archives has posted a biography on line. John Carmichael Haynes was born in Ireland on July 6, 1831. At 27 years of age, Haynes made up his mind to head for the colony of British Columbia and work for the newly established British Columbia Police. After receiving a number of letters from relatives who had travelled to British Columbia and struck it rich, Haynes turned to his uncle, James Carmichael, who had a lot of pull in the Irish Constabulary. Chartres Brew, a long-time friend of James, had been appointed Inspector of Police for the British Columbia colony. A glowing recommendation from Brew would certainly get Haynes a position with the B.C. Police. With nepotism clearly on his side, Haynes made way for the new world. At a time when every fifth man was an outlaw, Haynes was the law. The epitome of a gentleman, Haynes was notorious for his Irish frieze jacket, polished English riding boots and pith helmet that he donned in favour of a Stetson. His extensive legal authority and responsibility in the Okanagan, even over the Native peoples of the area, would eventually influence and set the standard relationship between First Nations and the pioneering families in the future. Haynes arrived in Victoria in 1858. Upon his arrival, Haynes made contact with Brew and was able to arrange a meeting with Governor James Douglas. Almost immediately following his application, Haynes accompanied Brew to the mainland in January of 1859, now a constable in the B.C. Police. Travelling up the Fraser River, Brew and Haynes reached Fort Yale. Haynes and William George Cox worked together for a time collecting license fees from miners between Yale and Hope. However, with gold discoveries near the Similkameen River and Rock Creek area, Cox was reassigned by Governor Douglas as Justice of the Peace and Gold Commissioner for the entire Rock-Creek Similkameen region. On his way back to the coast, Governor Douglas wrote Cox and informed him that his colleague Haynes would soon join him as Deputy Collector of Customs for the area. Haynes was reunited with Cox at Rock Creek on October 15, 1860. Haynes was limited to just the one post until April 1861 when his jurisdiction was expanded to include all the trails leading up to Okanagan Lake. Later that same year, with the depopulation of the Rock Creek area due to the riches found to the north in the Cariboo, Cox was transferred. Haynes became the head Customs Collector for the entire Okanagan-Similkameen district in November of 1861. By 1862 Rock Creek had turned into a ghost town. There were four constables for the Similkameen district which Haynes had to reduce to two. By May 1862, however, trails were opening up to the Cariboo region and a continuous flow of traffic was passing through the customs port at Osoyoos. Upon completion of the new customs house in 1865, Haynes looked upon Osoyoos as his home. He and his colleague W.H. Lowe acquired 22,000 acres of land from the International Boundary to the northern edge of Osoyoos Lake. Purchasing cattle from the many drovers that came through the valley, it wasn't long before Haynes had herds of cattle, horses, and sheep grazing his land. On a return trip from Victoria in 1888, Haynes fell ill at the Allison Ranch near Princeton. He died on his 57th birthday, July 6, 1888. It is stated that Haynes' body was taken down the Similkameen River to Cawston by canoe. From there it was transported by wagon to his home in Osoyoos. Later, his body was transferred to its current resting place in the Pioneer Section of the Osoyoos Cemetery. The Prospect wines are not the only wines from Mission Hill that celebrate either the history or the flora and fauna of the Okanagan. A few years ago, the winery also introduced its Terroir Collection of wines which showcase “the Okanagan Valley’s unique microclimates and diversity.” While the Prospect Wines are budget-priced, the Terroir Collection wines are premium-priced. These wines are made from the top three percent of the fruit in the estate vineyards. In between these ranges, Mission Hill produces several other tiers of wine, reflecting its ability to do so because the winery has vineyards throughout the Okanagan. Here are notes on a cross section of wines from the Mission Hill family. Mission Hill Terroir Collection No. 16 Southern Cross Sauvignon Blanc 2012 ($30; 19 barrels produced). This wine from Mission Hill’s vineyard at Osoyoos border begins with aromas of citrus, leading to flavours of lime and guava and an herbal finish. There is good weight on the palate, with a rich texture. A third of this was fermented and aged in French oak. 91. Mission Hill Terroir Collection, No.29 Bluebird Passage 2013 Viognier ($30 for 423 cases). This wine begins with aromas of pineapple, apples and orange zest. On the palate, there are flavours of apricot, white nectarine and tangerine, with a hint of white pepper on the lingering finish. 91. Mission Hill Terroir Collection, Sunset Ranch 2012 Chardonnay ($40 for 76 cases). Think of this unoaked Chardonnay as a cerebral wine: you need to think about it because the charm is not obvious. It has aromas of baked apples, pear and citrus which are echoed on the palate. The mineral-driven texture is rich but the fruit only begins to open after the wine breathes. 88. Mission Hill Terroir Collection, No.23 Crosswinds 2011 Syrah ($65.00; 38 barrels produced). This is a classic gamy and earthy Syrah, with aromas and flavours of black cherry and blackberry. On the finish, there are notes of sage and espresso. The texture is firm (typical of the 2011 vintage) and the wine benefits from decanting. 88-90. Mission Hill Terroir Collection, No.21 Splitrail 2012 Merlot ($65.00; 18 barrels produced). This is a superbly concentrated wine with aromas and flavours of black cherry, cassis and blueberry and with chocolate and leather on the finish. The long, polished and silky tannins give the wine great elegance. 92. Mission Hill Cabernet Sauvignon 2013 Reserve ($25.99 for 4,471 cases). The blend here is 86% Cabernet Sauvignon, 8% Cabernet Franc, 5% Merlot and 1% Petit Verdot. This wine begins with aromas of blueberry and cassis, leading to a cascade of flavours on the palate, including cassis, blackberry and blueberry. The long ripe tannins give the wine a generous texture. There is a touch of eucalyptus on the finish. 92. Mission Hill Five Vineyards Cabernet Merlot 2013 ($15.99). Grapes for this tier are selected for multiple vineyards. This is a blend of 41% Merlot, 32% Cabernet Sauvignon, 24% Cabernet Franc and 3% Petit Verdot. It was aged 13 months in French and American oak. This is an easy-drinking red with spicy aromas and flavours of cassis, with a hint of liquorice on the finish. 88. Ganton & Larsen Prospect Winery Merlot Cabernet 2012 ($13.29). This is a blend of Merlot, Cabernet Sauvignon and Cabernet Franc. This is a generous and delicious red, with aromas of cassis and blueberry and with lush flavours of black cherry. There is a hint of liquorice on the finish. 88. In July 2015, Andrea Lee returned as chief winemaker at Langley’s Chaberton Estate Winery where she once had been a cellar hand. It was a bit of a rush for the petite Summerland native. The 2015 vintage was one of the earliest in British Columbia. It was a scramble to get ready to receive the 600 tons of grapes that the winery processed last fall. She also arrived at a time when the winery, which opened 25 years ago as Domaine de Chaberton, was streamlining its image. The winery dropped “Domaine de” from its labels. The original owners of the winery, the first in the Fraser Valley, had emigrated from France. The family of founder Claude Violet once had a property there called Domaine de Chaberton and the name had resonance. Vancouver lawyer Eugene Kwan and Hong Kong businessman Anthony Cheng, who bought the winery in 2004, retained the name in respect for the founders. But after eleven years, they decided that a little updating was in order. They also reduced a confusing array of labels. Canoe Cove and North Bluff, which they had created after buying the winery, have now been dropped. The Chaberton wines now come primarily in three tiers: the House Wine tier, the Valley tier and the Reserve tier. On top of that, there is a super-reserve tier called AC for the pricey, limited release reds that Anthony Cheng and the Chaberton winemakers blended in several vintages since 2008. Andrea had a hand in making some of the blending components during her first stint at Chaberton. She was a cellar hand here during four vintages from 2007 through 2010. Born in Hong Kong, she was nine years old when her parents immigrated to Summerland and opened a Chinese family restaurant. Andrea did not set out on a wine career when she enrolled at Simon Fraser University to study molecular biology and biochemistry (something “very boring,” she says now). On graduating in 2006, she took a research internship with a pharmaceutical firm until the company, amid a business downturn, laid off staff. She took the opportunity to travel, ending up in New Zealand until a car accident prevented here from continuing in a vineyard job. She came back to Summerland and, after recuperating, went to work in the wine shop at Sumac Ridge Estate Winery and then at Chaberton. To upgrade her wine skills, she enrolled at the University of Adelaide in Australia for a master’s degree in enology. On graduating in 2012 she turbocharged her career by making wine in both hemispheres. She worked with three different Australian wineries, including Josef Chromy Wines, a distinguished producer in Tasmania. Back in the Okanagan, she made the 2014 wines for two Summerland wineries, Sage Hills Winery and Saxon Winery. She returned to Chaberton in 2015 when her predecessor there, Barbara Hall, moved to Burrowing Owl Estate Winery in the south Okanagan. The current releases from Chaberton have Barbara’s capable fingers on them even if Andrea finished some of the 2014s. If Andrea joined just in time for a rushed and hectic vintage, she also came in a very good vintage, especially for the Fraser Valley. While Chaberton sources grapes from both the Okanagan and the Similkameen, it also has a 40-acre estate vineyard, by far the single largest vineyard in the Fraser Valley. And it happens that Andrea is something of a Fraser Valley booster. Chaberton Siegerrebe Reserve 2014 ($15.95). As white wines go, this is the thespian wine that steals the scene with dramatic aromas and flavours: lychee, lime and grapefruit. It is balanced to finish dry. The blend is 95% Siegerrebe, 3% Gewürztraminer and 2% Viognier. 90. Chaberton Dry Bacchus Reserve 2014 ($15.00). Made from Fraser Valley grapes, this wine is crisply dry on the palate, with intense flavours of lime and lemon. The tangy finish is refreshing. 90. Chaberton Bacchus Reserve 2014 ($15.00). This is the off-dry version, with just a touch of residual sugar still well balanced with fresh acidity. It has aromas and flavours of grapefruit. 89. Chaberton Gewürztraminer Reserve 2014 ($15.95). The wine has rich aromas of spice and orange peel, leading to a rich palate, with flavours of tangerine, peach and apricot. The finish is slightly off-dry. 89. Chaberton Riesling Reserve 2014 ($15.95). The winery changed the style from the previous vintage when the Riesling was off-dry. This is dry although the fruit concentration on the palate has a pleasing sweetness. The wine has floral aromas and flavours of citrus and peach. 90. Chaberton Pinot Gris Reserve 2014 ($15.95). Made with Similkameen grapes, this fleshy wine begins with fruity aromas that lead to flavours of apple and peach. 89. Chaberton Valley Chardonnay 2013 ($13.30). This unoaked white is 86% Chardonnay, 14% Viognier. It has aromas of pear and citrus, leading to flavours of apple, tangerine and vanilla. 89. Chaberton Valley Gamay 2013 ($14.75). The blend here is 85% Gamay Noir, 7% Merlot and 8% Syrah. It is a delicious wine with aromas and flavours of cherry, strawberry jam and spice. 90. Chaberton Valley Cab 2013 ($15.95). This is 85% Cabernet Franc, 15% Cabernet Sauvignon. This is a quaffable wine with a soft, juicy texture. It has aromas and flavours of cherry and blackberry. 88. Chaberton Valley Red 2014 ($13.30). Another quaffable medium-bodied red with a fruity aroma, this wine delivers flavours of black cherry and liquorice. 88. Chaberton Reserve Merlot 2012 ($22.60). This wine has an elegant, seamless texture. It has aromas and flavours of cassis and blueberries, with a lingering spicy finish. 90. Chaberton Reserve Cabernet Sauvignon 2012 ($21.99). This wine, a blend of Naramata and Oliver grapes, was aged 27 months in French oak. This wine is svelte and elegant in structure. It begins with aromas of cassis and vanilla and delivers flavours of black cherry, fig, plum and vanilla. The wine benefits from decanting and will also benefit from another four or five years of cellaring. 91. Chaberton Reserve Syrah 2011 ($27). Dark in colour, the wine begins with meaty aromas incorporating red berries and pepper. On the palate, there are flavours of black cherry and blackberry crisply wrapped up with notes of black pepper and vanilla on the finish. The texture is medium to full-bodied, with a long finish. 90. Chaberton Reserve Meritage 2013 ($24.30). The blend is 50% Cabernet Sauvignon, 35% Merlot and 15% Cabernet Franc. The wine, which was aged 16 months in oak, begins with bold, ripe aromas of red fruit. On the palate, there are flavours of black cherry, plum and cassis with notes of cassis on the lingering finish. 91. Adega on 45th Estate Winery in Osoyoos has had too low a profile since opening in 2011. Perhaps that reflects the most personalities of the owners who are farmers first and promoters of their winery second. Since quality wines begin in the vineyard, that is an appropriate priority. However, I expect the profile to rise because the winery last year became part of the portfolio represented by Vancouver wine agent Tim Wispinski, president of The Wine List. Other wineries that he also represents include Chaberton Estate, Harper’s Trail, Hillside, Time and McWatters, Wild Goose – and the producer of the Okanagan’s most expensive red wine, One Faith Vineyards. To help raise the profile, here is the text of my profile of Adega on 45th from the fifth edition of John Schreiner’s Okanagan Wine Tour Guide. Ringing the church bells to communicate important village events was an art that Alex Nunes learned one summer in his native Portugal. He was 13 and home from a stint in the seminary. While he emigrated to Canada two years later, the memory of the two big bells in that village church inspired the addition of a bell tower to the winery’s façade when it was built in 2011. Alex intends to add a bell. “It is either buy one, or go back to my hometown and steal one at midnight,” he jokes. The winery, whose warm butterscotch tones blend with the desert landscape of Osoyoos, was designed by Alex and his brother-in-law, Fred Farinha, who own the winery with their wives, Maria and Pamela. The winery sits high on the vineyard’s west-facing slope. The tasting room windows offer a grand view over the town and the lake. The 557 square meter (6,000 square foot) winery has thick concrete walls and a naturally-cooled cellar for 400 barrels buried against the hillside. The interior’s public areas acquired the instant patina of age by having walls finished with Italian clay and tiles on the floor. The winery’s European ambiance reflects their Portuguese heritage (Adega is Portuguese for cellar). Alex was born in Portugal in 1950 while Fred was born in Penticton in 1966. Their families were among the many Portuguese immigrants who came to Osoyoos at that time as tree fruit growers. Both Alex and Fred operated orchards until about 2005 when vanishing returns from tree fruits left them with a stark choice: sell the land or plant grapes. “We decided to keep the land and build a winery,” Alex says. They grow no Portuguese grape varieties because they doubt the vines could survive Okanagan winters. But that has not stopped them from making Portuguese-inspired wines. Merlot stands in for Touriga Nacional to make a port-style wine. Here are notes wines currently available from Adega on 45th. Adega on 45th Felicidade 2014 ($17). The label does not specify the grapes in this white blend. The spicy and herbal aromas and the gooseberry flavours suggest some Sauvignon Blanc while the anise on the finish suggests Pinot Gris. This is an austere and powerful white which responds well to being decanted. 88. 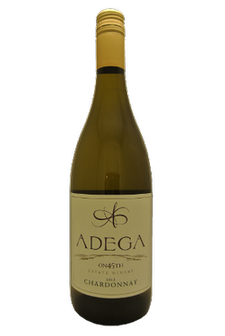 Adega on 45th Chardonnay 2014 ($21). This is a full-bodied Chardonnay with honeyed aromas and flavours of apple, tangerine and melon. The soft acidity gives the wine a rich, fleshy texture while the 14.8% alcohol adds to the swaggering personality. 88. Adega on 45th Viognier 2013 ($20). Here is another bold, ripe white (alcohol of 14.9%) with aromas of apricots and flavours of apricots and almonds. The tannin that comes from the skins of the Viognier gives backbone to the structure. In the glass, it presents with a golden hue. 89. Adega on 45th Merlot 2011 ($20). A typical wine of the vintage, this is lean and bright with aromas and flavours of cherry, raspberry and blueberry. 89. Adega on 45th Manuel NV ($20). The winery does not specify the blend in this red but does say the objective was to make a fruit-forward wine while including a portion aged in French oak to “up the sophistication.” The wine has ripe aromas of black cherry. The flavours are generous, with notes of black cherry, cassis, vanilla, chocolate and liquorice. 90. Adega on 45th Malbec 2012 ($24). This is a big, generous red with spicy aromas of plum, cherry, black currant and vanilla which are echoed in the flavours. There is an intriguing touch of pepper on the finish. 90. Adega on 45th Syrah 2011 ($24). This wine begins with aromas of vanilla and black cherry with a touch of pepper. On the palate, there is a medley of black fruit and earthy, gamy notes. The wine benefits from decanting which allows it to show a chewy texture. 88. Adega on 45th Quarteto Tinto 2012 ($28). The blend is 85% Cabernet Sauvignon, 10% Merlot and 2 ½ % each of Cabernet Franc and Malbec. This is a bold wine that begins with aromas of spice, black currant and black cherry, followed by flavours of black currant and chocolate. The texture is concentrated and rich. 92.